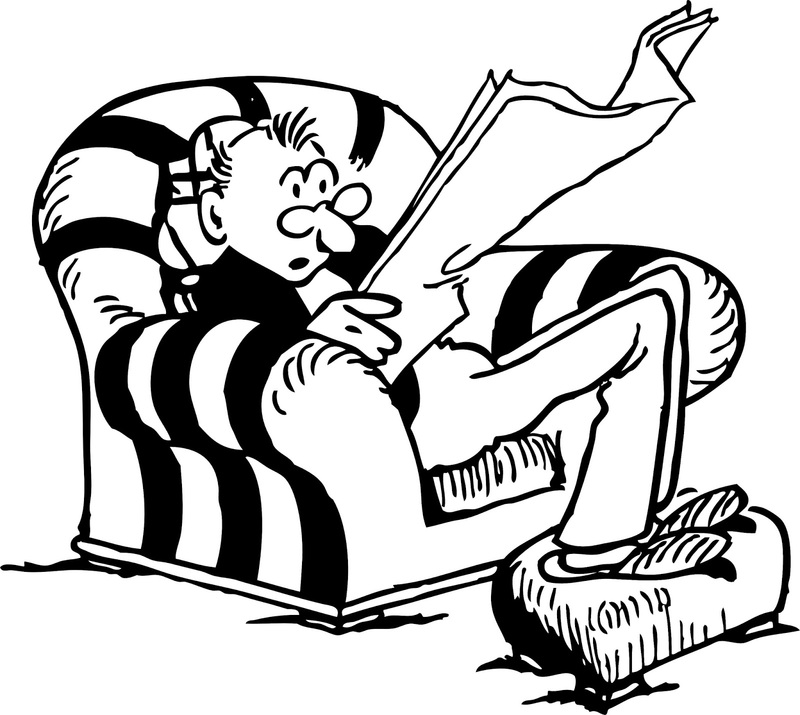 "Being an evolutionist means there is no bad news. If new species appear abruptly in the fossil record, that just means evolution operates in spurts. If species then persist for eons with little modification, that just means evolution takes long breaks. If clever mechanisms are discovered in biology, that just means evolution is smarter than we imagined. If strikingly similar designs are found in distant species, that just means evolution repeats itself. If significant differences are found in allied species, that just means evolution sometimes introduces new designs rapidly. If no likely mechanism can be found for the large-scale change evolution requires, that just means evolution is mysterious. If adaptation responds to environmental signals, that just means evolution has more foresight than was thought. If major predictions of evolution are found to be false, that just means evolution is more complex than we thought." You can find Hunter's entire piece here. You can checkout Hunter's blog here. 1. Joshua Gidney, "Quote of the Month: Cornelius Hunter on the Unfalsifiability of Evolution," March 26, 2017. In March 2017, the Zacharias Trust hosted it’s second “Why Series” based on the topic of religion. During the day attendees got to ask questions on whether religion is irrational, immoral, intolerant or dangerous?. This post features the talk given by Professor John Lennox. You can learn more about the series here. You can find the first "Why Series" here. One of the many objections skeptics raise against the reliability of the Bible often goes something like this- "How can you trust the Bible? It is full of contradictions!" One example that is often mentioned is the death of Jesus' betrayer, Judas Iscariot. 1. Norman L. Geisler and Randy Douglass, Bringing Your Faith to Work, p. 172. Recently, Michael Nugent, chair of Atheist Ireland, debated William Lane Craig of Reasonable Faith. The debate took place on March 21, 2017 in University College Cork, Ireland. This debate was part of the Reasons for Hope Tour. This week we begin a four week series called, "Four Dishonest Ways to Argue about Abortion." This series will feature four common arguments proponents of abortion often make and why they fail. The responses come from Stand to Reason's excellent resource, "Pro-Life Defense Quick-Reference Guide." 1. Confuse Moral Claims with Preference Claims. The pro-life opposition to abortion is an objective moral claim. It is not a claim of preference. To illustrate this better, look at two common responses to the pro-life claim that abortion is morally wrong. This objection treats our claim as a mere statement of preference. However, we are not saying that we personally dislike abortion or that we would prefer that women didn't have abortions. We are saying that elective abortion is objectively wrong for everyone regardless of how they feel about it. Yes, it is our view, but not just our view. We're saying that abortion is wrong in itself, whether people prefer it or not. "Don't force your morality on others." This is a common example of the pervasive idea that no objective standard of right and wrong exists, also known as moral relativism. But there are fundamental problems with this view. The very statement itself is self-refuting. In other words, "You have no right to tell someone that their actions are wrong." But what are you saying when you say, "Don't force your morality.."? You are saying that the pro-lifers actions are wrong, the very thing you just said they had no right to do. To be consistent, it would be impossible to say that anything is wrong. 1. For those interested in learning how to argue for the pro-life position both scientifically and philosophical, see my article "Live Action, Snopes and Planned Parenthood" here. What’s Driving Muslim Refugees to Christianity? Last week's edition is available here. The doctrine of justification is a doctrine about our glorious salvation. It is an essential part of the message of the Bible. This doctrine, although is directly about Christ atoning for our sins, is foundationally built on the justice of God. God is an infinitely holy God, and there is nothing and no one on earth or in Heaven like Him (1 Samuel 2:2). God is a completely righteous God and can’t even look upon sin or have sin in His presence. When sin entered the world, we offended the rule and reign of God, and we followed our own way and trusted in our own ability for life and happiness. (Romans 1:22-23). For this reason, our disobedience to God must be punished eternally because our sin was against an infinite and holy God. God is a God of justice, so justice must be sought out by God for His glory (Psalm 89:14) in order for sin not to go without punishment. By the grace of God, God is not only a just God, but simultaneously a merciful and gracious God. All throughout the Bible God displays His mercy and justice as He intervenes in the world. The best display of this was on the cross where Jesus, the Son of God, went to bear the sin of world bringing justice to God, but also bringing mercy to a wicked people (1 Peter 2:24). As believers, because we have received the mercy of God and have seen the justice of God poured out on the person of Jesus, our understanding of justice should be shaped by this beautiful Gospel message. As we see, justice is part of the very nature of our God. When the topic of social justice comes up, believers should be leading the way because of what we have experienced in the Gospel. Social justice, however, can be misinterpreted by the church due to a lack of compassion and knowledge on the subject. In the realm of social justice many times the church looks on with hesitance to be bold for the voiceless, neglected, and broken. Over the past few years we have seen the awareness of social injustices in our world heighten. As witnesses of these injustices the church cannot afford to become timid in our response to these wicked atrocities. Our response will have an effect on how people view the message of the Gospel and how people view Jesus. No matter the injustice, whether it is poverty, abortion, or racism, the church must be the voice of God for the victims since we have experienced the justification of God through the person and work of Jesus. Because God does care so deeply about establishing justice, Jesus goes as far to identify Himself with the least these in society who have been victims of injustice (Matthew 25:35-40). James in his letter writes that true Christianity is a Christianity that serves and takes care of the oppressed (James 1:26-27). In the Old Testament God condemns congregational worship that offers sacrifices on behalf religion and yet doesn’t pursue justice on behalf of the hurting and broken image bearers (Amos 5:21-24). The church should be aware of the injustices that occur in our world, because injustice distorts the image we were created in. If we are called to be imitators of God, we called to be a people and a church that preaches the justice of God in the cross and lives out the justice of God in practice through love. Social injustices aren't just problems with systems and structures, but are theological issues as well. The mistreatment of human beings made in the image of God is an issue of human value and worth. In Genesis 9, God shows us that because we are created in the image of God, both humans and animals are held accountable for the killing of other humans. The extent of our value stems from the very nature of God. When injustice happens, the biblical truth that all of mankind are image bearers of God is attacked. As believers in Christ, we hold to the fact that we are all made in the image of God (Genesis 1:27). This Gospel truth, coupled with the reality that we have been justified and declared righteous because of Jesus should compel our hearts to seek to bring forth justice on the earth. Through social justice, we point to the coming perfect judge who died and rose from the grave to redeem and reconcile sinners to God, all while standing up for the oppressed. Faith in Jesus is a faith that empowers action for the glory of God and good of humanity. Sadly, we are sometimes seen more so as moral police than caretakers of the sick and hurting. In Matthew 23:23 Jesus rebukes this kind of attitude, “Woe to you, Scribes and Pharisees, hypocrites! You pay a tenth of mint, dill, and cumin, yet you have neglected the more important matters of the law -justice, mercy, and faith. These things should have been done without neglecting the others." We see that the heart of God is that our Gospel commissions’ and ordains good works, that people may see and glorify God. (Matthew 5:16; Ephesians 2:10). If we are involved in religious activity, but lack compassion and mercy towards people in need, then our religious activity is a waste and a mockery of the very religion we claim to believe and practice. True Gospel belief should produce compassion and love in us for those oppressed by injustice. We once were alienated from God, but God had compassion on us. As we seek to be conformed to the image of God lets seek justice by doing good deeds, declaring justification through faith, and hoping and proclaiming in the coming perfect Judge Jesus Christ. Here is a lecture by Phillip Johnson, one of the founders of the intelligent design movement. In this talk, Johnson explains how he became a skeptic of Darwinism after reading Richard Dawkins' book The Blind Watchmaker. He also summarizes the major conflicts between neo-Darwinian theory and natural science including the Cambrian explosion and the existence of bio-molecular systems of irreducible complexity. This talk was filmed before a live audience at the University of Wales in 1997. Some of Johnson's well known books that you may want to check out include Darwin on Trail, The Wedge of Truth and Defeating Darwinism. Are the Terms "Micro-Evolution" and "Macro-Evolution" a Creationist Fabrication? J. Warner Wallace is a cold-case homicide detective, popular national speaker and best-selling author. He continues to consult on cold-case investigations while serving as a Senior Fellow at the Colson Center for Christian Worldview. 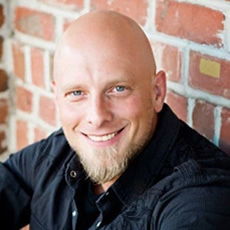 He is also an adjunct professor of apologetics at Biola University and a faculty member at Summit Ministries. J. Warner was a conscientious and vocal atheist until the age of thirty-five, when he took a serious and expansive look at the evidence for the Christian Worldview and determined that Christianity was demonstrably true. After becoming a Christ follower in 1996, Jim continued to take an evidential approach to truth as he examined the Christian worldview. He eventually earned a Master’s Degree in Theological Studies from Golden Gate Baptist Theological Seminary. J. Warner served as a Youth Pastor for several years, then planted a church in 2006. Along the way, he created and built the Cold-Case Christianity website, blog and podcast as a place to post and talk about what he discovered related to the evidence supporting Christianity. Jim has appeared on television and radio, explaining the role that evidence plays in the Christian definition of “faith” and defending the historicity of Jesus, the reliability of the Bible and the truth of the Christian worldview. Jim also speaks at churches, retreats and camps as he seeks to help people become confident Christian case makers. 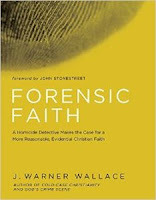 J. Warner’s book, Cold-Case Christianity, provides readers with ten principles of cold case investigations and utilizes these principles to examine the reliability of the gospel eyewitness accounts. In God’s Crime Scene, he investigates eight pieces of evidence in the universe to make the case for God’s existence. J. Warner’s professional investigative work has received national recognition; his cases have been featured more than any other detective on NBC’s Dateline, and his work has also appeared on CourtTV and Fox News. He also appears on television as an investigative consultant (most recently on truTV) and had a role in God’s Not Dead 2, making the case for the historicity of Jesus. J. Warner was awarded the Police and Fire Medal of Valor “Sustained Superiority” Award for his continuing work on cold-case homicides, and the CopsWest Award after solving a 1979 murder. 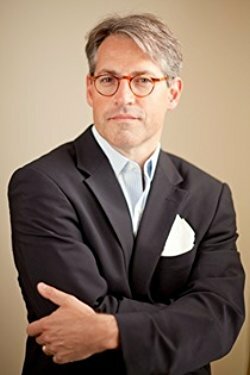 Relying on over two decades of investigative experience, J. Warner provides his readers and audiences with the tools they will need to investigate the claims of Christianity and make a convincing case for the truth of the Christian worldview. 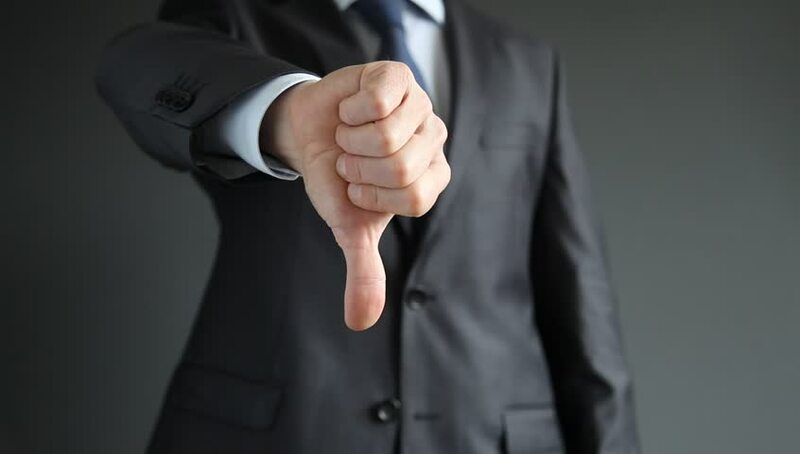 J. Warner Wallace has asked this question in churches across America over the past several years, and the answer he gets is often disappointing; it’s almost always rooted in some sort of personal, subjective experience. As a community, we Christians aren’t typically prepared to make the case for why we believe Christianity is true from the objective evidence of history, philosophy or science. Worse yet, many of us don’t think we have any obligation to do so. Forensic Faith is an accessible and exciting call to action. It will help you understand why it’s important to develop an evidential faith as it gives you the tools to accomplish the mission. It will also help you explain the need for apologetics to those who don’t yet understand their duty as Christian Case Makers. Forensic Faith is not only a book, it’s also a video curriculum! To pre-order your copy of the book, go here. To learn more about J. Warner Wallace and his work, go here. 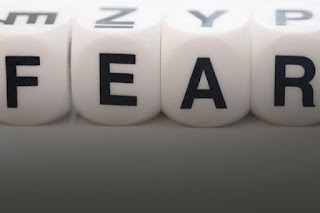 In the subject post, J. Warner Wallace discusses how fear of evangelizing is mostly centered on a desire to be comfortable. He provides his thoughts and insight from Scripture to help the follower of Christ overcome this fear. You can checkout last week's edition here. 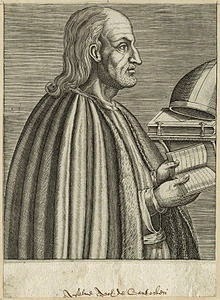 Born in what would be modern-day Italy, Anselm (A.D. 1033-1109) was raised by a father who resisted his son's desire for a life of scholarly devotion. His mother, however, instilled in him a vision and love of God. Through his unwavering commitment Anselm became not only a Christian scholar but eventually also a celebrated teacher and the archbishop of Canterbury. Like the earlier scholar and churchman Augustine, Anselm sought to better understand the faith he already believed. In the classic Why God Became Man, Anselm produced what has become the standard view of the atonement: God alone can satisfy the infinite demands of His righteous wrath-and He graciously does so through the saving work of the God-man, Jesus Christ. Written in a spirit of prayer, Anselm's Proslogian presents one of the most controversial and fascinating arguments for God's existence- the so-called ontological argument (argument from being). When a fool says in his heart that there is no God (Ps 14:1), he demonstrates that he understands what is meant by the term God, namely "that than which nothing greater can be conceived." And anything that can be conceived not to exist is not God. Thus God cannot be conceived not to exist. Or in other terms, God would not be that than which nothing greater can be conceived if He existed only in one's mind, for it is greater to exist in reality than in thought alone. Hence God must exist. In response to charges that the argument is unsound, Anselm expounded the argument further by nothing that God is a necessary being, that is, a being whose uncaused self-existence accounts for the existence of all other contingent things. For a great introduction to the ontological argument, go here. In this talk, Dr. Gary Habermas talks about some of the evidence for near-death experiences and their possible implications. For those interested in learning more about near-death experiences, we highly recommend J. Steven Miller's Near Death Experiences. How does Christian theology relate to scientific inquiry? What are the competing philosophies of science, and do they “work” with a Christian faith based on the Bible? No reference work has covered this terrain sufficiently—until now. 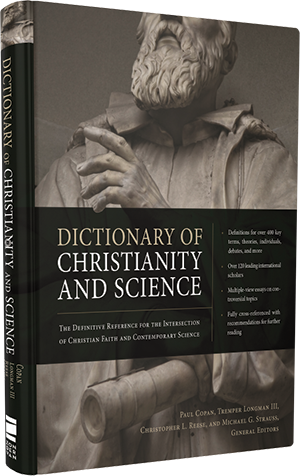 Featuring the work of over 140 international contributors, the Dictionary of Christianity and Science is a deeply-researched, peer-reviewed, fair-minded work that illuminates the intersection of science and Christian belief. In one volume, you get reliable summaries and critical analyses of over 450 relevant concepts, theories, terms, movements, individuals, and debates. You will find answers to your toughest questions about faith and science. Be one of the first to get your hands on the new book, which hits stores April 15, 2017. 3 presentation slide decks present a succinct, visual summary of the following oft-discussed topics: miracles, string theory, and stem-cell research. Put them to use in your classroom or in your personal study. High-resolution poster of Galileo Galilei, the "Father of Science"
12-month access to an online course on Genesis taught by Tremper Longman III, general editor and contributor. Courtesy of Zondervan Academic Online Courses. You can find the book endorsements here. The impressive list of contributors can be seen here. Finally, you can pre-order the book here. Common Objection #27- "Intelligent People Don't Believe in God!" Time is not a substance. It is the mind's measurement of motion. So to say that something is temporal is to say that it is in motion and undergoing change. Since God is the Unmoved Mover, He is immutable. Thus He is not temporal, but eternal. Further, since time is duration, God does not endure; He is in His eternal now. One major objection to divine eternality is that God cannot relate to temporal things, because He would need to be temporal in order to do so. A response to this objection is the understanding that God does not have to be temporal to bring about temporal change. As the Uncaused Cause, He has willed all causes from His eternal now. This is similar to Him setting up a chain of dominoes from eternity. Where and when the dominoes fall is determined by God in His eternal now. He does not have to be moving when they are moving. What are your thoughts on God's eternality? Share in the comments below. The Gospel of Matthew records Jesus' words regarding false prophets/teachers. We are told in chapter 7 verses 16-20 that we will know them by their fruit. Bad trees cannot produce good fruit, and good trees cannot produce bad fruit. So what exactly should one look for when evaluating potential false teaching regarding the Deity of Jesus Christ? I believe gotQuestions.org answers it well here. 1) What does this teacher say about Jesus? 2) Does this teacher preach the gospel? Do they correctly portray the message as described in 1 Corinthians 15: 1-4 regarding Jesus' death, burial and resurrection? 3) Does this teacher exhibit character qualities that glorify the Lord? Or do they exhibit non-Christlike attributes such as pride, greed, and rebellion mentioned in Jude 11? "Only by being thoroughly familiar with the truth will we be able to recognize a counterfeit." 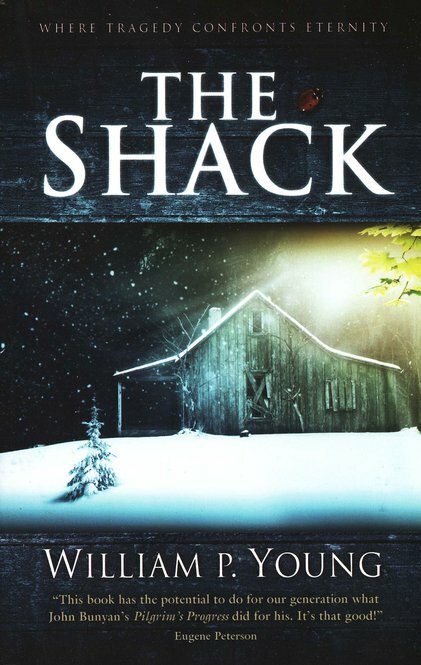 Resources for Evaluating "The Shack"
For those who haven't heard, William P. Young's best-selling book The Shack is being made into a feature film and will be released this coming weekend. You can learn more about the film and watch the trailer here. Upon a recommendation, I read the book a few years ago and found the story to be heart-breaking, gripping and inspiring. However, there are numerous theological problems embedded throughout the story. I remember one relative telling me that the book really helped them understand the Trinity! Yikes! I wanted to share a few online resources that I hope will prove helpful while reading the book, viewing the film and talking to friends and relatives about the movie. Should Christians Boycott the Film? I saw that some Christians are considering a boycott of the film based upon it's heretical content. I believe this is wrongheaded. I see films like "The Shack" as a wonderful opportunity to talk with unbelievers about the true nature of God and the gift of salvation He offers in Jesus Christ. My suggestion is that you take the time to read some of the resources above and see the film. Then, when others are talking about it at the water cooler or at family gatherings, you will be ready to offer theologically accurate thoughts that the Holy Spirit can use to point them toward the one, true God. In this video, Dr. [Mike] Licona tells us why we can trust the stories we read about in the Gospels. This talk was delivered at Foothills Alliance Church in Calgary, Alberta, Canada in conjunction with the Be Ready Conference in March of 2017. For more from Dr. Licona, see here. His new book, Why Are There Difference in the Gospels?, is available here. John Stonestreet is a speaker and fellow with the Chuck Colson Center for Christian Worldview, and co-host with Eric Metaxas of Breakpoint, the Christian worldview radio program founded by the late Chuck Colson. John is a sought-after speaker at conferences, colleges and churches on areas of faith and culture, theology and apologetics. He holds degrees from Trinity Evangelical Divinity School and Bryan College. Listen to John's daily radio features at www.breakpoint.org. Brett Kunkle is the Student Impact Director at Stand to Reason. He is passionate about seeing students and adults “transformed by the renewing of their minds.” Brett has more than 18 years of experience working with junior high, high school, and college students. He spent 11 of those years as a pastor to students and young adults at Chino Valley Community Church in Southern California and Creekside Church in Colorado. You can checkout Brett's weekly podcast here. 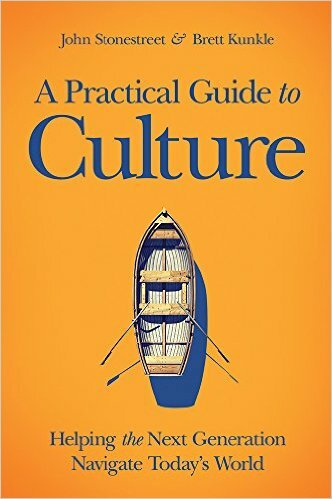 This book will be available on June 1, 2017 and you can pre-order your copy here. You can listen to Kunkle interview Stonestreet about the new book here. You can read Fisher's response to these common arguments from pro-abortion choice advocates here. 20 years after Dolly the sheep, what have we learned about cloning? Will high court still hear transgender restroom case? Did Archaeologists Really Discover a New Dead Sea Scroll Cave? Evolution News and Views Has a New Look! The Envelope, Please? Doug Axe and Undeniable Are World Magazine 2016 Science Book of the Year! 1. Tim Stratton, "The Bible Trumps Logic," Feb. 21, 2017. Video Debate: Matt Dillahunty vs. Mike Licona- Was Jesus Raised from the Dead? In this featured video, Matt Dillahunty of the "Atheist Experience" debates New Testament historian Mike Licona on the question, "Was Jesus Raised from the Dead?" This debate took place at the [un]Apologetic Conference in Austin, TX on Feb 25, 2017. Pt. 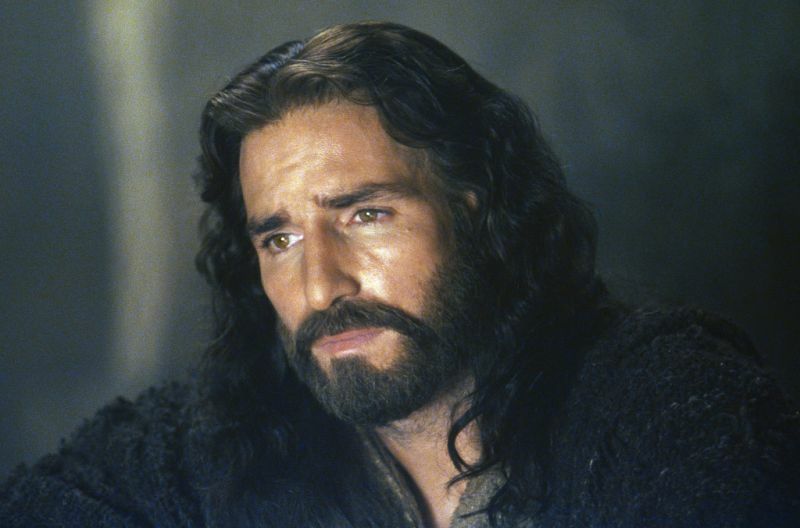 5- Four Facts about the Fate of Jesus of Nazareth: Did Jesus Rise From the Dead? Fact 1: After His crucifixion, Jesus was buried by Joseph of Arimathea in a tomb. Fact 2: On the Sunday after the crucifixion, Jesus' tomb was found empty by a group of His women followers. Fact 3: On multiple occasions, and under various circumstances, different individuals and groups saw Jesus alive after His death. Fact 4: The original disciples suddenly and sincerely came to believe Jesus was risen from the dead, despite having every disposition to the contrary. This week, we concern ourselves with the question, "How do we decide the best explanation for these facts?" 1. It has great explanatory scope. It explains why the tomb was found empty, why the disciples saw postmortem appearances of Jesus, and why the Christian faith came into being. 2. It has great explanatory power. It explains why the body of Jesus was gone, why people repeatedly saw Jesus alive despite His earlier public execution, and so forth. 3. It is plausible. Given the historical context of Jesus' unparalleled life and claims, the resurrection makes sense as the divine confirmation of those radical claims. 4. It is not ad hoc or contrived. It requires only one additional hypothesis: that God exists. 5. It is in accord with accepted beliefs. The hypothesis 'God raised Jesus from the dead' does not in any way conflict with the accepted belief that people do not rise naturally from the dead. The Christian accepts that belief as wholeheartedly as he accepts the hypothesis that God raised Jesus from the dead. 6. If far outstrips any of its rival theories in meeting conditions 1 through 5. What about the Differences in the Resurrection Accounts? 1. William Lane Craig, "Did Jesus Rise from the Dead?," The Apologetics Study Bible, p. 1729-1730.